Not every day… – …STILL CRAZY AFTER ALL THESE YEARS! My girl wanted to go for the chap fan (mixed rice) here but I remember they do not have it every day and definitely not on weekends and public holidays. Nonetheless, we headed to the place to confirm it is so and true enough, they only have that Tuesdays to Fridays, lunchtime – I think Monday is their off day. 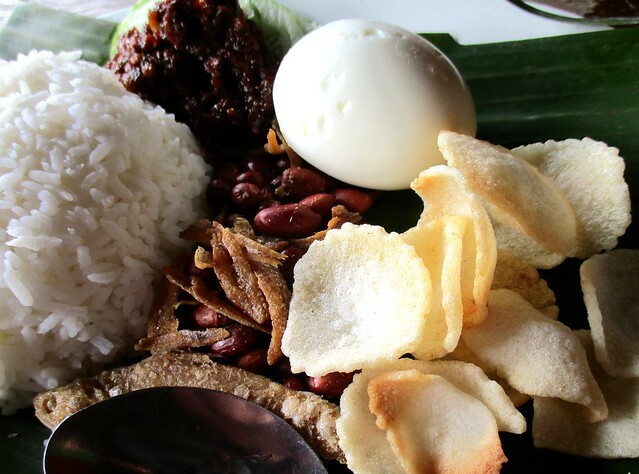 I decided to try the latter and yes, the sambal was very nice and very spicy…and that was the first time I’ve seen anyone giving one whole egg (except when it was fried) with a plate of nasi lemak. The presentation would probably be a bit nicer if they had cut it into halves and placed them nicely by the side. …which was quite good and it sure helped alleviate my enjoyment of my order. …all artificial flavours and preservatives and I wished they had given the acar timun (cucumber pickle) instead. I saw it in a big plastic container at the counter but I did not see it served with any of the lunch sets. I wonder what they served that with – I would have loved that, anytime better than the miserable keropok. …except that she passed me all the fish balls as we were not sure what flour they used to make them, those frozen ones available at all supermarkets, deep fried. …and that place is a coffee shop, true and true. This one, on the other hand, is no regular coffee shop, it is a little classier than that and I would expect something a little better – using those plastic stuff makes it seem so cheap! 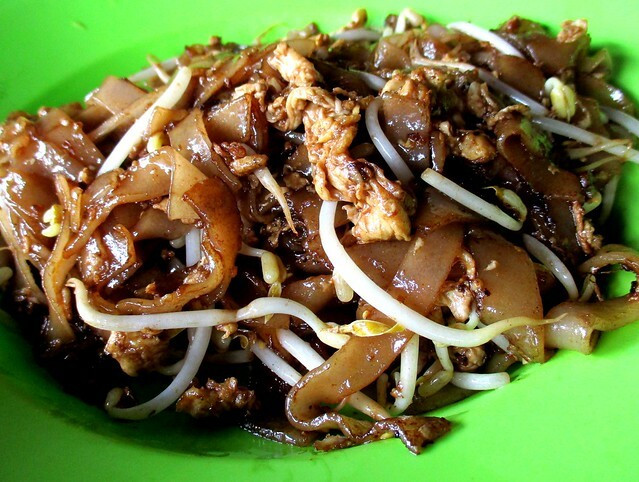 ONE O ONE CAFE (2.305823,111.84837) is located in the Jaya Li Hua Commercial Centre along Lorong Pahlawan 7C, near the wet market, among the shops on the other side from the Sibu Bus Terminal area. Lamb curry for me please. 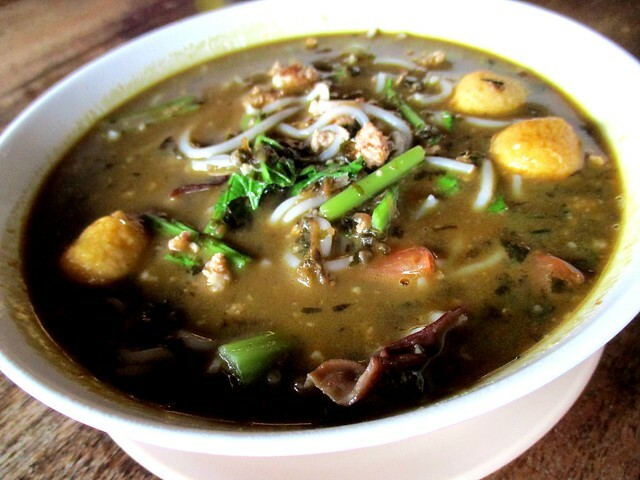 I would also like to try the chao chai hung ngang. It’s a sourish dish – they do it very well here, one of the best places in town to go for this. That bowl of lamb curry sure looks good to go with white rice. Yes, the curry and the sambal saved the day – the rice was a disappointment. I haven’t seen lamb curry on menus very often around here. Maybe I’m just not looking for it though. No wild boar curry here unless you cook your own, buy the fresh meat from the ethnic sellers at places like Selangau. Not a fan of the meat in curry. I guess you people have mutton there, goat’s meat, so you would have mutton curry here, there and everywhere especially at the Indian shops. 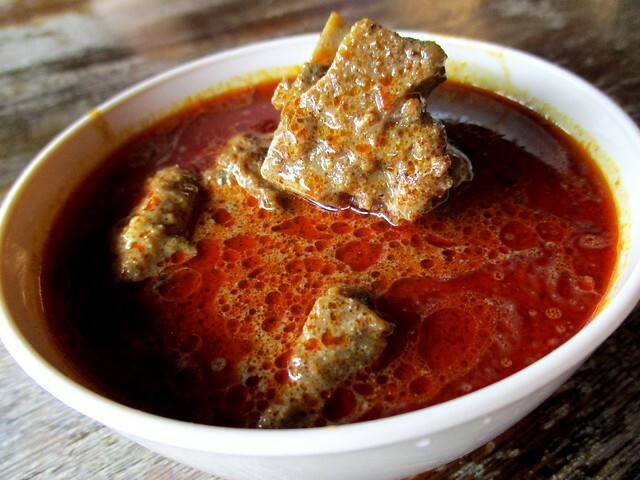 No mutton here, so what they call kari kambing or mutton curry is imported New Zealand lamb. Love the lamb curry and what the ladies had. What was in your daughter’s noodle soup? It looks so good. 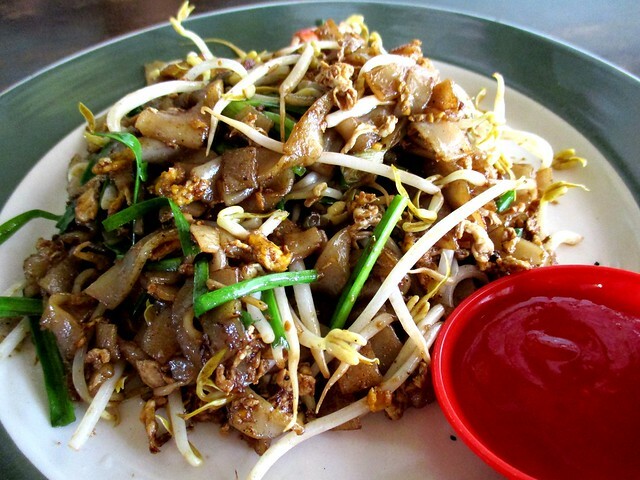 Chao chai, fermented preserved vegetables…something like salted vegetables but nicer. I hate when we were served with plastic plate, spoon and fork. How to eat, cut with them, I really don’t know. Hai ya. I am down with cough again. Thought I have recovered but it came back after a couple of days. Feverish yesterday. Looking at your dishes make me drooling only. Can only see, need to wait longer to indulge myself with those yummy food. Try cordyceps, in capsules – go for the better quality ones, over RM100 a bottle. For cough & flu, I like the Hurex syrup or capsules – I find them effective. If just flu alone, I go for Clarinaise, non-drowsy. Yes, and hot food on plastic or even melamine may be hazardous to health. I wish they would not use those at the coffee shops as well. Yes, it was pretty good – I did like it. Good lemak rice is always hard to find. Often there is only the slightest hint of coconut. Sometimes it makes me wonder whether my tastebuds and sense of smell have deteriorated with age! Yes, mostly very very slight. 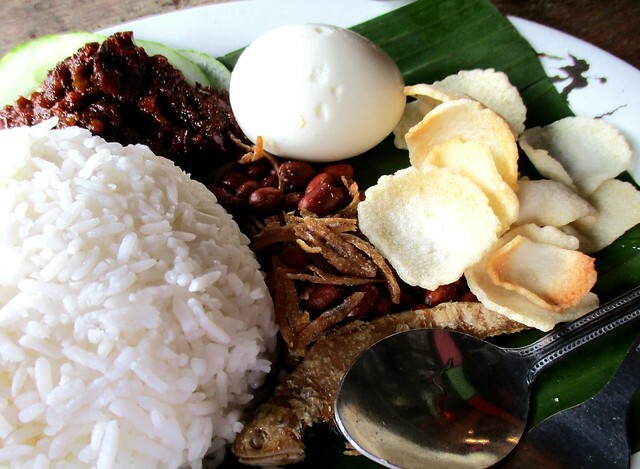 This one had none at all – I wonder why they call it nasi lemak when I might as well be eating plain white rice. Tsk! Tsk! Bet you can get good ones there, at the Indian shops especially. I also dislike those prawn crackers. I often wonder why they even bother serving it. Me too!!! I wonder which culinary school teaches them to do that. Really no class at all. It was good, wifey was singing its praises but I did not like the apple green plastic plate. Cheap and a health hazard, serving something hot on it. Pingback: What else you got… – …STILL CRAZY AFTER ALL THESE YEARS! Pingback: Extra day… – …STILL CRAZY AFTER ALL THESE YEARS! Pingback: Before I leave… – …STILL CRAZY AFTER ALL THESE YEARS!